The month of September has been an incredible adventure of awesome event production by yours truely. I ran my body empty through countless hours of sleepless nights and early wakeup calls. I'm NOT complaining, but my body finally gave out. After friday night @ the Remezcla Musica launch party I woke up w/ a fever, stuffy nose, and a strong cough. Yuck! I hate being sickies. Oh well, I guess it's time for watching movies in bed, drinking lots of water, catching up on lots of sleeeeeep, and listening to relaxing music. With that said I open my gmail to find a track sent to me by an indie pop artist from Puerto Rico ARDNAXELA. The track is called "Pelicula" and it's quick lovely along with the rest of a bunch more songs you can preview on her msypace. Alexandra Rosa, better known as her alter ego ARDNAXELA, is a Mexico City-based singer/songwriter hailing from San Juan, Puerto Rico. After singing in several Indie-Pop bands, she went solo in 2005 and released the album 'Telecine De La Tarde Con Ardnaxela'. 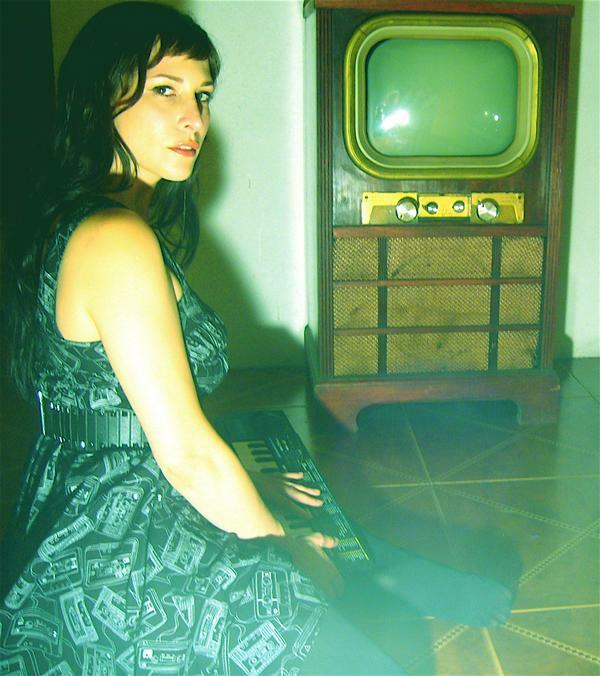 Her musical influences range from Rocio Durcal, Burt Bacharach, Les Rita Mitsouko, The Smiths, Siouxsie and the Banshees to The Pixies, exploring musical territories from Mexico, Puerto Rico, Argentina and Spain. Ardnaxela will release her new EP 'Fantastidate' late 2010.